The JFLA Lecture Series presents “Cherry Blossoms Odyssey” on Thursday, April 18, at 7 p.m. at the Japan Foundation Los Angeles, 5700 Wilshire Blvd., Suite 100, Los Angeles. 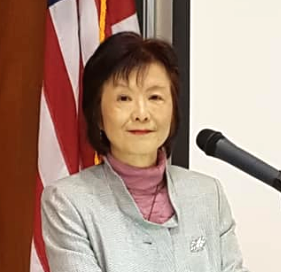 In her speech, Naoko Abe will explain how the incredible diversity of cherry blossoms, which evolved during the two centuries when Japan was essentially closed to foreigners, was forgotten in the late 19th and early 20th centuries. She’ll explain how and why cherry varieties became in danger of extinction after Japan became focused on modernization and industrialization, and how an English plant hunter, Collingwood Ingram, warned Japan’s elite in 1926 that the nation was in danger of losing these national treasures. Abe will also talk about how cherry blossoms were used as an ideological symbol during the Pacific War. And she’ll give a brief history of how Japanese cherries came to the U.S. and spread throughout the country. Abe is a Japanese journalist based in London. She was the first female political writer to cover the Prime Minister’s Office, the Foreign Ministry, and the Defense Ministry at one of Japan’s largest newspapers. 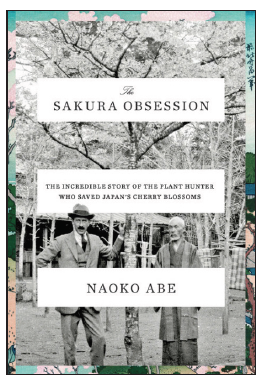 Her latest book, “The Sakura Obsession: The Incredible Story of the Plant Hunter Who Saved Japan’s Cherry Blossoms,” is available from Penguin Random House. Free but registration required. For more information, call (323) 761-7510 or visit www.jflalc.org.